Kate Winslet was one of the actresses labelled as "difficult" by Harvey Weinstein because she refused to be bullied by him. The Oscar-winning actress opened up about her experiences of working with the disgraced movie producer in an interview with The Hollywood Reporter, telling the publication that her working relationship with Weinstein was uncomfortable. "He was just so horrible to deal with," Winslet explained. "I was one of the ones he would label 'difficult' because I wouldn't do the things he would ask for me to do on a business-level... These were ridiculous requests... He didn't like me because I wouldn't be bullied by him." The 42-year-old was also riled by Weinstein trying to constantly remind her that he gave her her big break in Peter Jackson's movie Heavenly Creatures in 1994, which was distributed by the movie mogul's company Miramax. "He would come up to me every time I saw him, 'Don't forget who gave you your first movie!' He didn't 'give me' my first movie - I auditioned for four months. Peter Jackson gave me the part," she fired back. "But, you know, how dare he even sow that seed in my mind, that in some way any part of my career had anything to do with him rooting for me or pushing for me or putting my name forward," Winslet added. She also blasted Weinstein for pitting her movie The Reader against her then-husband Sam Mendes' film Revolutionary Road in 2009, and claimed The Reader wasn't even supposed to be released until a year later. 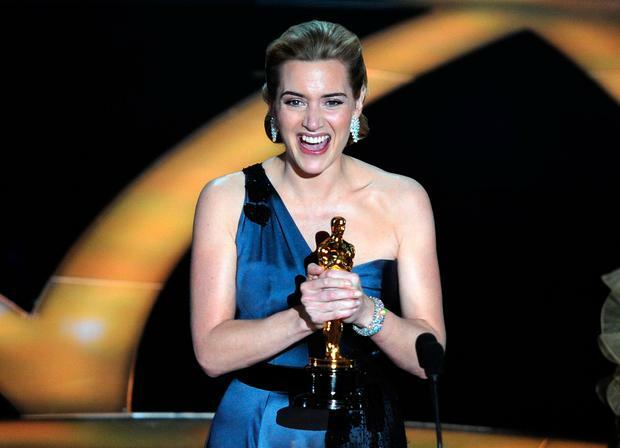 Describing the move as an insensitive "Oscar grab" by Weinstein, Winslet decided to snub him in her acceptance speech if she won the Best Actress honour for The Reader. "I just thought to myself, 'Well, if I can just get my own back in some way at this awful man, I'm not gonna thank him. If I happen to win that Oscar (for The Reader), I am not going to say thank you'," she explained.